West Brook High School junior Christine Michael poses for a portrait at the school in Beaumont on Thursday, Oct. 25, 2007. West Brook has worked on screen pass execution to get defenders out of position. 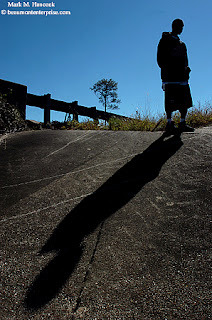 Lamar University sophomore basketball player Ashton Hall stands at the top of an embankment on U.S. 96 where his cousin's car overturned in June near Silsbee on Thursday, Oct. 25, 2007. Hall suffered neck and shoulder injuries, but will be ready to play for Lamar this year. 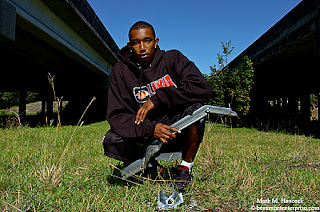 Ashton Hall poses for a portrait with remaining pieces of his cousin's car where it overturned near Silsbee. He's suffered through months of rehab to be able to play basketball again. He hasn't completely recovered, but he gets stronger each day and has earned the respect of teammates. Please read, "Cardinal baller rebounds from terrifying accident" by Perryn Keys. Mid-summer through November is when most photo departments turn in their wish lists (budgets) for the next year. Often, decisions must be justified because we're talking about thousands of dollars multiplied by the number of shooters per department. Judging from how rapidly digital video hardware is progressing, I'm certain the software editing side will be drastically different next year. But, we've got to start somewhere. PJs and future VJs need to know the direction their newspaper is going to make a valid video editing decision. If a paper plans to use video as an online novelty, then Photoshop CS3 Extended could work. If the company wants to eventually move to HDV for online and still image capture from video (where the industry is heading), Final Cut Pro (FCP) is the best option. If budget is the issue, I suggest purchasing FCP as the best way to handle video and keep current versions of Photoshop for still images. If it's a serious issue, get FC Express and upgrade to FCP Studio next time. CS3 can handle both still and video, but the array of plug-in programs to get it up to video standard could be staggering. For instance, Apple Shake 4 is a add-on program. It would be required for CS3. The newest version of FCP has a similar program incorporated into the software. While CS3 has included a color correction program valued at $2,000 in the CS3 Extended, FCP has included the movie industry premium program valued at $25,000 and is already equipped to do everything required for video (sound, color, transitions, text, etc.). This is the industry standard video editing program. Open format timeline (can include different speed videos). ProRes 422 codec (good reproduction after effect rendering). SmoothCam stabilization plug in (corrects for hand-held camera shake). Color correction improvements over previous version. Color, the program, was a $25,000 application before Apple acquired the company. High-quality sound production tools including surround sound. Doesn't edit photos. Still need to keep some version of Photoshop for photos. Expensive, but considered a bargain by including Color. Requires a lot of computer horsepower (MacBookPro is enough). This is the industry standard for photo color correction. Fast import and effect rendering. Seamlessly transports to PC-based systems with same software. Incorporates non-destructive adjustment layers (for color correction and effects). Allows for animation features and graphic design as well as a 3D animation slider from multiple points. Exports as QuickTime, MP4 and Flash Video. Bridge editing software is included to do keyword searches for all images on a computer. More realistic B&W tone control. Quick Selection tool isolates humans with one touch for color correction or cutouts (see Cons below). If anything, it's overly powerful on the digital manipulation side. In other words, digital manipulation is both easy and flawless without much training and could lead to ethical breaches. Doesn't offer near the editing functions as FCP. Will require the following additional programs: Shake, Soundbooth CS3, Adobe Premiere Pro CS3 video editing software. Adobe Creative Suite CS3 Production Premium suite includes: After Effects CS3 Professional, Premiere Pro CS3, Encore CS3, Photoshop CS3 Extended, Illustrator CS3, Flash CS3 Professional and Soundbooth CS3. It gives more editing power, but the combination of elements costs far more than FCP Studio and isn't as good. They've made some significant improvements in the latest version and made it useful for most Web-based applications. It's the least expensive of all the pro options. It's a good training platform to eventually jump to Final Cut Pro. By all accounts, this program isn't sufficient for professional use. The program lacks too many features to make it acceptable for long term use. If there isn't any budget. The basic starting point is iLife. It includes iPhoto, iWeb, iMovie, GarageBand and iDVD. It's a great starting point and dirt cheap. Don't let the price fool you. There's some serious horsepower under the hood. It's not top-of-the-line professional, but it's simply amazing for the price (particularly GarageBand). If a PJ already has iMovie HD, don't change to '08 until the bugs are fixed. Although it features color correction tools, the current edition's timeline is difficult to understand, it has no FX and some other major issues. 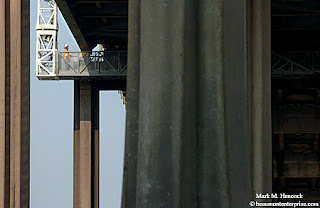 Traffic continues to cross the Trinity River bridge as TXDOT engineers inspect it in Chambers County on Tuesday, Aug. 14, 2007. A new bridge is under construction to replace the aged bridge. TXDOT engineers inspect the Trinity River bridge in Chambers County. The tragic bridge collapse in Minnesota has prompted officials to inspect all bridges currently in service. 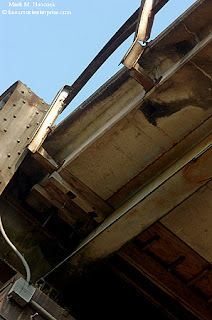 Guard rail damage is evident as TXDOT engineers inspect the Trinity River bridge in Chambers County. 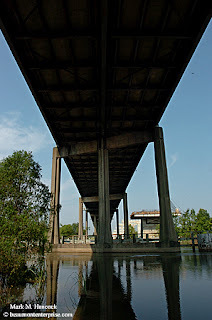 The Trinity River bridge is the southernmost connection from Southeast Texas to the Greater Houston metro area. West Brook's Chris Pinson (No. 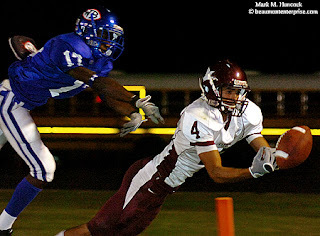 17, left) leaps for the ball as Baytown Lee's Michael Mahan (No. 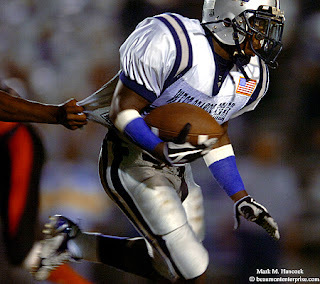 4, right) lets it slip through his fingers on the goal line during a high school football game at West Brook High School in Beaumont on Friday, Oct. 12, 2007. 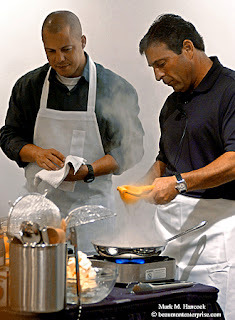 Johnny Carrabba, co-founder of Carrabba's Italian Grill (right), and Wayne DaSilva, proprietor of the Beaumont restaurant (left), demonstrate how to cook a restaurant specialty in the Dishman Art Mueum at Lamar University in Beaumont on Saturday, Oct. 20, 2007. The program was part of the annual La Dolce Vita: Bella Cucina cooking demonstration and wine pairing. 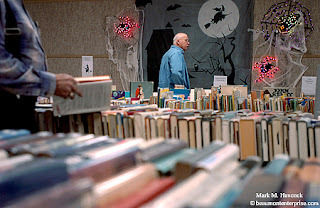 Joseph Scott of Nederland (left) and Cliff Rees of Groves (center) shop during the opening day of the Spook-Tacular Book Sale at the Groves Public Library in Groves on Wednesday, Oct. 24, 2007. The sale is sponsored by the Friends of Groves Public Library and continues through Saturday during library hours. I've been blogging for several years. When I started, there weren't many other bloggers. So, I linked to any blogs of interest to me. As some PJs got blogs, I moved those into a separate sidebar category. Those later became staff, freelance and collegiate (and high school) categories. TV PJs were added a little later. Photoblogs and Info links absorbed most of the early sidebar items. VJs (video journalists and multi-media) are the most recent. Since I started, the blogging world has exploded. In an ironic twist, blogs went from being reasons to terminate PJs to required items on a resume. The former is why many of the early bloggers still don't have their names, publications or other info on their blogs. The latter is why there are a lot of new blogs. I sweep through the blogs for new links occasionally, but I can't keep up with everything in real time. So, please send me PJ, VJ and TVPJ blog links and the minimal info listed below. I'll put them all on the inside page (there's unlimited space). If one is a daily PJ blog, I'll add it to the sidebar. My organizational method may seem random, so I'll explain how it works. Let's start with the inside pages because they're semi-automatic. Inside link blogs that haven't posted in more than a year may be removed unless there's some really compelling reason to keep it. Photoblog links are different. They either A) comment regularly on this blog. B) have quality images in my opinion (at least when the blog was added) or C) linked to this blog when there weren't many blogs. The sidebar links employ a lot more judgment on my part. The most important factor is post frequency. If I ever click on the link and it's more than a month old, I take the link off the sidebar. I also don't place R-rated blogs on the sidebar because I have a "safe" status with schools and several kiddos visit this blog when it's time for research papers. Otherwise, the sidebar blogs are sorted the way I prefer to read them. This doesn't always mean the best are on top. I value quality PJ work, but I also reward frequently-updated blogs. The reason I blog daily is to force myself to shoot better every day. Each night I sift through my recently published images. Often, I dislike my options. However, I still post a new image each day. I think some people return here because they know I'll have something new. When I visit a blog and it hasn't been updated since the last time I visited, I feel like my download time was wasted. This is another reason I reward high-frequency blogs with better sidebar placement. 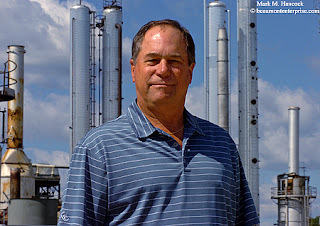 South Hampton Resources, Inc. president Nicholas N. Carter poses for a portrait at the plant in Silsbee on Tuesday, Oct. 23, 2007. The petroleum solvent plant plans a $12 million expansion. In addition to the construction jobs, the plant plans to add 40 permanent jobs. Please read, "Silsbee plant plans $12 million expansion" by Amy Collins. 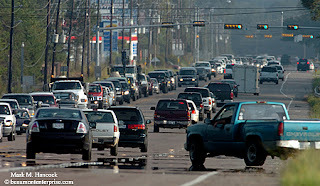 Traffic struggles to move during the evening rush hour on Highway 69 in Lumberton on Thursday, Oct. 18, 2007. About 20,000 autos commute through the area. 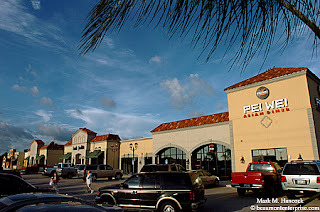 Area growth and urban sprawl are affecting smaller cities in Southeast Texas. To some, this is considered a "good problem." Please read "U.S. 69 congestion..." by Editorial staff. 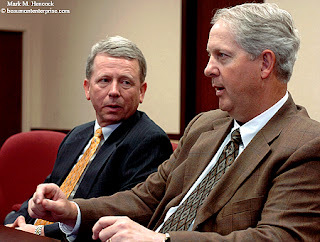 Eastman Chemical Company's Norris P. Sneed, senior vice president of human resources, communication and public affairs, (left) and Marc R. Ramsdale, vice president of developing technologies operations, (right) talk about the company's future plant while visiting the Beaumont Chamber of Commerce in Beaumont on Tuesday, Oct. 23, 2007. The company plans a $1.6 billion chemical plant on Texas 347, within the BISD taxable area. Diners visit Pei Wei Asian Diner, which is open for business in Fountain Plaza off Dowlen Road in Beaumont on Tuesday, Aug. 21, 2007. Fountain Plaza is the newest of several planned upscale retail outlets in Beaumont's West End. 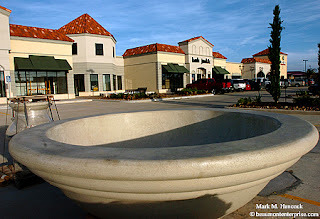 The centerpiece fountain awaits installation as shops are opening for business in Fountain Plaza off Dowlen Road in Beaumont. While most of the country faces financial woes, Southeast Texas is entering a construction boom period, which is expected to last about four years. Fairgoers take in the rides and food during the last weekend of the 2007 South Texas State Fair at Ford Park in Beaumont on Saturday, Oct. 20, 2007. 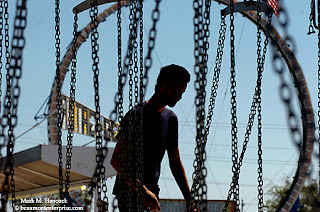 Sunday is the final day of the fair. 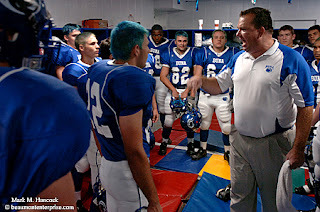 Buna assistant coach Kenneth Riendinger (right) pumps up the team before a high school football game against Hardin in Buna on Friday, Oct. 19, 2007. Both teams entered the game undefeated. Buna's Blanton Craft (No. 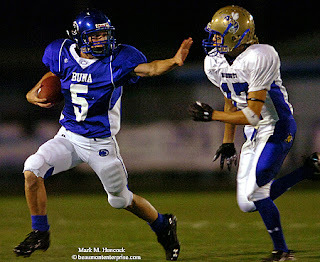 7) runs through Hardin's defense for a touchdown during a high school football game in Buna. Buna's Ryan Sheppard (No. 5, left) tries to fend off Hardin's Tyler Townsend (No. 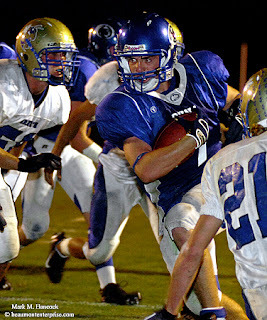 17, right) during a high school football game. The game ended 49-32. Buna left the field undefeated. Please read "...battle cry" by Perryn Keys. It's a great example of quality sports journalism with detail and vision. It brings a casual reader (non-sports junkie) into the locker room scene and emotions. Southeastern Louisiana's Lydia Adeosun (No. 3, right) fires a ball past the block of Lamar's Destiny Mason (No. 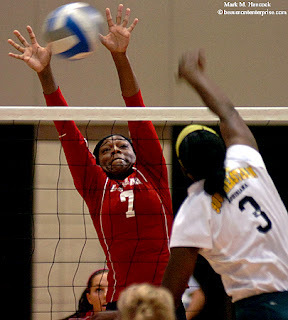 7, left) during a college volleyball match at Lamar University in Beaumont on Saturday, Oct. 13, 2007. Lamar is on a winning streak. I think it's partially due to the "new gym" having no light. I recently shot in a 2A gym with almost three times more light than this one. It's sad. Filmmaker Ken Burns talks about his latest documentary "The War" at the Lutcher Theater for the Performing Arts in Orange on Wednesday, Oct. 17, 2007. Burns' lecture is part of the Lamar State College-Orange Distinguished Lecture Series. Please read Ken Burns' biography. Burns granted an interview specifically for PhotoJournalism. He discusses his background and respect for the still photograph, and how it evolved into his documentary film style. Burns: I originally wanted to be a feature filmmaker, and I ended up going, in 1971, to Hampshire College in Amherst, Massachusetts and all the film and photography teachers, and they taught film and photography together with social documentary still photographers. And, film was mostly an afterthought for most of them. So, I really had my molecules rearranged and (was) taught by great photojournalists and social documentary still photographers promoting a humanistic tradition. And I brought that into my work as a filmmaker. I abandoned the Hollywood route, but have been trying to bring kind of a value of entertainment and storytelling to the documentaries that I've made. But, in a way in which the still photograph is the DNA - the basic building block - of what we're doing. At the heart of the work is a healthy respect for the power of individual images to convey complex information without undue manipulation. That's been the heart of what we've been trusting that a great deal of information can come out of an image. That's why we move in. We don't hold them at arm's length. We get inside and try to resurrect the moment in which they were taken. So, in "The War," it's filled with sound and complicated sound effects track or music appropriate voice that I think helps will this moment alive. About the "Ken Burns effect." The Ken Burns effect is something that if you have a Mac computer, it's a feature that's on there. So, we don't want to talk too much about the Ken Burns effect because it's like the tail wagging the dog and not the other way around. This was something developed in respect for an approach I took for still photographs. And, Steve Jobs and the folks at Apple had spent some time perfecting it, and when they did put it on the computers and asked my permission to say, "Ken Burns effect." Now, what they're responding to is that for the last 35 years, I have been unsatisfied with the notion that a still photograph is something you just pin up on the wall and hold at arm's length like a slideshow. I, using those old roots of a feature filmmaker, wanted to get inside that image. And so I treat it like a feature film director, who has a long shot with a possibility of a medium shot, a close shot, an extreme close-up, a pan, a tilt, a reveal. All the different elements at the disposal of a feature filmmaker, I bring to bear into the photograph. Now, that to me is more an energy than it is a technique. That is to say, we want to energetically explore the landscape of a still photograph and tell stories within those still photographs. That's what I've done. Now if that's the "Ken Burns effect" and it's now been, sort of, reduced to a button you can push or a mouse you can click that permits you to download your photographs and zoom and pan through them to make your little wedding stories, that's OK. But, at the heart of my interest was to try to get inside a photograph and resurrect the time in which it was taken and trust that that may be the closest representation we have to the past. The fundamental use of a still photograph is usually in isolation, so the viewer, himself, has the opportunity to determine the length of time you spend looking at it. So, when you're getting into telling stories with pictures, you're getting close to film. And, you're beginning to realize that at the heart of film is a still image. There aren't any rules because at the heart of this compact between the photographer and his subject is the essence of seeing and each individual circumstance has a different demand of seeing. You're going to cover a wedding on Thursday different than you'd cover a wedding on Saturday, and you're going to cover a wedding quite differently than you're going to cover a funeral. It gets a lot subtler than weddings and funerals because life in incredibly complicated. At the heart of our enterprise is, kind of, an awareness and a self-discipline and an interest in understanding what are the natural and authentic stories and how you can get out of the way of them - in presenting them. And those that you have to superimpose. That's what a filmmaker does, or a photographer does, is put a frame around a moment and make it happen. Burns most recent project, "The War," explores WWII from a factual and historical point of view. He explains the film and the pressing motivation to make the film. Please also read, "...how he made 'The War'" by Fred Davis. Ken Burns was born in Brooklyn, New York on 29 July 1953. He is known for his historical documentaries. He researches and uses historical photographs and documents to propel the stories within his films. Burns is the founder of Florentine Films. His titles include executive producer, director, writer, chief cinematographer and music director in addition to his research. 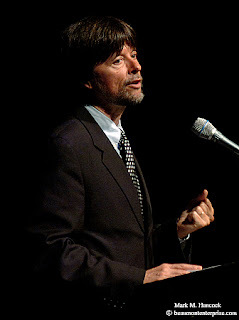 The New York Times proclaimed Ken Burns as "the most accomplished documentary filmmaker of his generation." Burns has a Bachelor of Arts degree from Hampshire College in Amherst, Mass. He produced and directed the Academy Award-nominated "Brooklyn Bridge." His most noted productions include "The Civil War" (1990), "Baseball" (1994), "Jazz" (2001) and "The War" (2007). Other award-winning films include: "The Shakers: Hands to Work"; "Hearts to God; The Statue of Liberty" (also nominated for an Oscar); "Huey Long"; "The Congress: The History and Promise of Representative Government"; "Thomas Hart Benton"; and "Empire of the Air: The Men Who Made Radio." His work can be seen at www.florentinefilms.com. He's married to Julie Deborah Brown, executive director of Room to Grow (an organization which supports babies born into poverty), and resides in Walpole, N.H. Please see the video interviews. 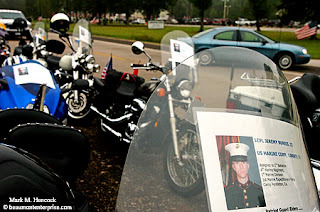 Windshield posters remind Patriot Guard riders why they ride as family and friends arrive at Cornerstone Church before funeral services for U.S. Marine Corps Lance Cpl. Jeremy W. Burris in Liberty on Tuesday, Oct. 16, 2007. The Marine was killed by a roadside bomb in the Al Anbar province of Iraq during combat operations. 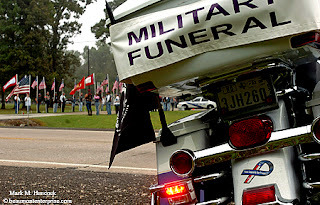 Police and Patriot Guard riders prepare before funeral services for Lance Cpl. Jeremy W. Burris at Cornerstone Church. After surviving a roadside blast, Burris pulled two other Marines to safety from the damaged vehicle. 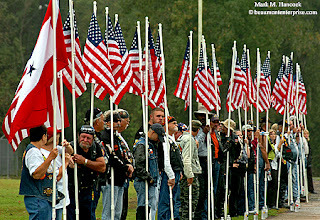 Patriot Guard riders assemble before funeral services for Lance Cpl. Jeremy W. Burris at Cornerstone Church. After saving fellow Marines, Burris returned to collect equipment when a second blast took his life. Please read, "...Marine returned to Liberty" by Christine Rappleye. For folks who missed the first post, I'm offering two custom-framed, museum-quality, matted, signed prints of the winner's choice as prizes for two individuals. One goes to the millionth visitor according to the sidebar counter. The other goes to the highest referrer when the sidebar counter passes one million. Please see the original post for details. The blog passed the 900K point, so we're no longer in six-digit countdown territory. Some visitor should win in about 90 days. It might happen before the end of the year. 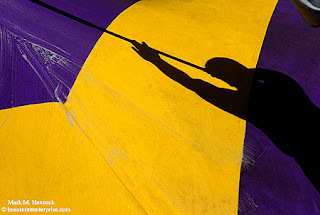 Since I'm interrupting anyway, I'd appreciate your vote at the Photoblog Awards. Fairgoers ride the Carousel Swing during the South Texas State Fair at Ford Park in Beaumont on Friday, Oct. 12, 2007. 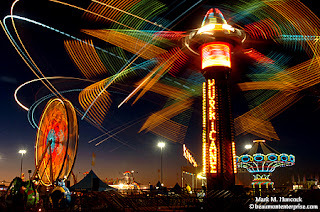 The fair continues through Oct. 21. Instead, let's discuss one of his other highly-quoted statements. It is, "A penny saved is a penny earned." Over the years, people have misunderstood this powerful business statement. Additionally, Ben didn't get it entirely right. I'll explain why in a moment. While some marketing genius convinced people that Ben's statement is about opening a savings account and letting someone else use their money, it's not. It's actually the exact opposite. What Ben meant was any penny you don't waste equates to earning a penny. Pennies don't mean much anymore, so think of it as $10. Basically, not wasting $10 is the same as earning $10. Still not convinced? OK. Load $10 into the paper shredder. Once it's pretty confetti, do you need to earn the same $10 to pay bills? Probably. As businesspeople, PJs must understand each dollar we don't waste is a dollar we don't need to earn elsewhere. Better yet, every buck not wasted is profit. I said Ben didn't get this concept entirely right. Here's why: it costs more to earn money, than it costs to spend it. Think about what earning money entails. There's overhead involved in equipment, communications, utilities, travel, taxes, etc. These expenses come from somewhere. They come from PJs' earnings. It easily costs $10 (or more) to earn $20. Therefore, Ben's statement relates to the PJ biz as "$10 saved is $20 earned." Yes, it's all a write off, but it takes more time. Use the same time wisely. As businesses become larger, it takes more money to earn money. However, any incremental cutting of waste creates substantial rewards. It's worth more than earning the same amount because it costs nothing. We understand this principle when it comes to manufacturing. If a magazine reduces one centimeter of paper waste, those centimeters add up to reams in short time. The amount saved in one press run could easily offset the entire editorial expense for the magazine. Let's ignore how the newsprint hedge system works today. Instead, think of cutting costs as a way to earn money. PJs work with extremely large, profitable companies. Since Ben was a printer, it's fair to say most buyers of our work understand exactly what Ben stated. It's also fair to say publishers understand our work is often negotiable. Sure, we have a point where we walk away forever, but they can squeeze most PJs fairly hard before most PJs drop a publisher. This is precisely why it's important to understand Ben's simple statement. This is how the industry operates. Publishers look to save a penny wherever they can. If a publisher pays less for content, it's profit. Publishers may try to cut "non-essential" (from their point-of-view) expenses such as mileage, transmission fees, digital fees, use fees, etc. All of these are essential to a pro PJ's survival, but publishers are trying to save pennies. They're smart businesspeople. They're doing exactly what they should be doing. Meanwhile, PJs must battle these attempts to encroach on our fees. As I stated, fees are negotiable. Part of the negotiations involves walking away from bad deals. If PJs accept bad deals, they must work doubly hard to earn the same amount. This is a recipe for hardship. If we're smart businesspeople, we do exactly what we should do. We set fair prices, and stick to our prices. Publishers still buy images. They pay the full price because it's a cost of doing business (a full write off). Like I said, publishers are smart. They try to cut expenses wherever they can. If they find PJs willing to work for less, they'll occasionally save those pennies. If they find pro PJs won't back down, they pay the fees and look to save pennies elsewhere. The publishers did their job by trying to save pennies. Cheap PJs failed to do their job if they accept low offers. It's not the publishers' fault, it's the PJs'. Every tiny expense involved in making any image is legitimate. It's a business expense to someone. It should be the publisher's expense because they need the images. If a shoot is 10 miles from a PJ's house, charge the mileage. Otherwise, PJs are PAYING the publisher $18.20 to make an image for the publisher (.455 x 20 miles = 9.10 * 2 [Ben principle] ). A 100-mile gig costs $182.00 - enough to buy a new lens or some quality filters. In turn, these purchases are a write off for a pro PJ, so the after-tax purchasing power of any 100-mile trip is about $364 [(546/3)*2]. This is 36,400 wasted pennies if mileage wasn't properly charged to the client. It's up to the PJ to either PAY to make images for a client, or get new equipment. It's the same amount of money. I choose to buy new gear with my money and let the publishers pay their share of my car expense, which is a total write off for them. Alternatively, they can spend $600 to fly another PJ into town. Then, they pay this other PJ for her/his time, rentals, etc... It'll cost the company more in the long run, so they'd rather hire a local shooter and pay these fees if all things are relatively equal. My point is: clients pay fees if the fees are reasonable and understood up front. If a client wants to walk away from a deal over a $30 expense, it probably isn't a client worth keeping. I'll happily give them the phone number to an area high school to hire someone in their price range (yes, I've done this before). While some may think this is irrational, consider I frequently have gigs in Houston and Lake Charles. Both are about 90 to 100 miles from Beaumont. Are either of these cities lacking PJs? No. Do clients specifically hire me and understand my fees? Yes. Editorial work costs money. Publishers don't spend this money because they want to be good people. They pay to create a product to sell to their customers. Smart publishers create better products to sell more copies or get more viewers. Better products cost more money, but create more income. In this sense, the penny invested earns two cents. Likewise, the pennies "saved" by the competition probably cost them those same two cents. So, how much does a cheap publisher really save? Nothing, they actually waste this money. According to Ben's principle, this costs twice as much. Today, we understand a buck saved (by a PJ) is the same as a two bucks earned. We can look for bargains while purchasing, and we can cut waste to earn more money. Most importantly, we can ensure clients reimburse our expenses and pay other legitimate fees. We know publishers must try to save some bucks, and it's up to us to reject low offers. This is because our work is valuable and considered an "investment" rather than "waste." Just as PJs invest in better equipment to improve the quality of our work, publishers invest in quality PJ work to improve their product(s). Investing in quality PJ work yields extra income for publishers. It's the cost of doing business. It costs nothing extra to hire good PJs because it's a business expense. The publisher is reimbursed by the government (via taxes) for our fees. Meanwhile, they get additional readers by acquiring high-quality images. Therefore, quality PJ isn't a "waste" of money for the business while hiring an unqualified shooter is. The penny invested returns two-fold while the penny wasted is lost forever. This is why the thought of putting money in a savings account is backwards to what Ben meant. The bank invests and doubles money while only paying small dividends to the savings account owners. Meanwhile, the business principle of not wasting money and using it to earn money is as valid today as it was when Ben sipped his beer. 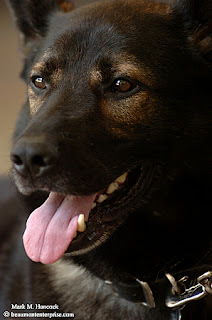 Nick, a German shepherd and Port Arthur's new explosives canine, takes a break at Fire Station No. 1 in Port Arthur on Thursday, Oct. 11, 2007. 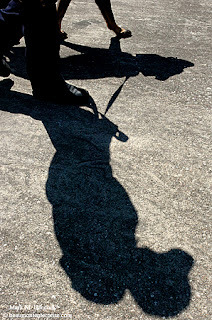 Nick, a German shepherd and Port Arthur's new explosives canine, walks with handler Mark Sastre at Fire Station No. 1 in Port Arthur. I charge f/22 for my work. Newer PJs may only charge f/2.8. A business can pay the newer PJ's fee in 1/8000th of a year's earnings. Meanwhile, the same biz pays my fee at 1/250th of a year's earnings. The write off is the same. However, the difference in detail could easily equate into a finer quality end product. The final image should have more value although the exposure is the same. Sometimes, it's proper to only need f/2.8. But, when a company demands f/22 and only gets f/2.8, they must still hire an f/22 shooter. It's a wasted frame. There wasn't enough information and quality in the f/2.8 shot. If a PJ tries to deliver f/22 images at 1/8000th, the film is grossly underexposed. The PJ won't remain in business long. I understand I don't make f/64 images. However, I also don't charge f/64 prices. It's important for PJs to understand their proper f-stops. It's important for less-experienced PJs to understand why they should charge appropriately for their work. No matter how much a PJ charges, it's a complete write off to the business buying the work. At the end of the quarter, publishers take the expense write-off from their taxes. If an image costs $1, they write off $1. If an image costs $700,000, they write off $700,000. From a theoretical point of view, content is free. All fees involved in the making of a product are a 100 percent write off. I said content is theoretically free. We all know it costs money to make money. Successful businesses earn more money than they spend to make a profit. Most businesses only consider 2/3rds of their expenses to be a write off while the other 1/3rd is absorbed on a budget by creating income and paying taxes. Although this has nothing to do with actual expenses, it affects the bottom line. Most PJs invest money into equipment to keep them ahead of the competition. We understand the money we invest into this equipment is a tax write off. Consequently, we also understand we're not really paying for the equipment, but we're actually paying for the interest lost on the equipment until our taxes are filed (plus whatever depreciation our CPAs determine). PJs see we get the money back from the income we earn. We buy $1K of equipment and we write off $1K to equal $0. This assumes we don't earn more than the actual cost of the equipment. If we earn more, we must pay income tax on the difference to the government. Whatever remains goes toward our living expenses and profit. This makes perfect sense to most PJs. However, it gets lost in translation when some PJs sell their work. They forget this is the same accounting method every business uses. In short, these PJs forget other businesses are investing in our PJ work. The businesses are only "losing" interest on the money until the next time they file taxes (quarterly). Then, they get the money back. If they earn any income as a result of our images, it's applied against the interest lost and becomes profit. So, it all washes by the time they pay taxes because they didn't pay interest to the government on profits earned during the same time. There's no loss after all. Again, the PJ rights, fees, etc. cost nothing. On paper, PJ work is free. If a PJ charges $1,000, it's a $1,000 write off for the biz (business or publisher) purchasing rights to the work. So far so good. Now, the business must earn the $1,000 to pay the PJ. $1,000 earned - $1,000 paid to PJ = $0 earned. This is also a flat situation. A grand was earned and paid. After the write off, the biz still has paid $0 for the PJ work. If the company registers a loss during the quarter, then it maxes out its losses to equal taxes owed. The remainder of the loss is eaten by the biz. This is the first place PJs get blamed because the biz didn't earn enough to cover the PJ expense. This isn't the PJ's fault. The images were free IF the biz earned enough to cover the expense. If the biz earned more than it paid, the biz must pay taxes on the income it earned. This is where bean counters like to blame PJs again. Biz earned $2K (gross). PJ charged $1K. Taxes are on $1K (net) difference. So, the profits are split by the IRS. According to these CPAs, the math looks like this: $2K - $1K - $500 = $500. They show the boss that they only kept $500 of $2K because of the PJ. This is incorrect, but it's what they tell the boss. The truth remains that the IRS got half of the biz's net income. The IRS gave them credit for the entire amount they paid the PJ. In turn, the PJ paid roughly 50 percent taxes on the income (after cost of doing biz losses). If this same math is reversed, the company actually earned $2K (gross) because they purchased (invested in) the PJ's work. It's the same logic. By this rationale, not only did the PJ work for free, they helped the company earn $500 and pay the IRS another $500. So, why do bean counters still try to minimize our income? This is the subject of tomorrow's post. 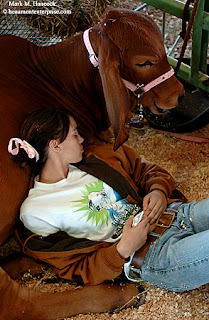 Sunny Reese, 15, of Lumberton takes a nap on Anna Belle, her 9-month-old Red Brahman, during the South Texas State Fair at Ford Park in Beaumont on Saturday, Oct. 13, 2007. Kirbyville's Broderick Jackson (No. 32, right) gets wrapped up by West Orange-Stark's Josh Lynch (No. 41, center) as Quintavious Garrett (No. 20, left) assists during a high school football game in Kirbyville on Friday, October 5, 2007. 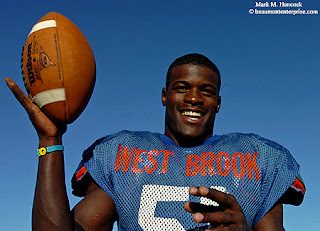 West Orange-Stark's DePauldrick Garrett (No. 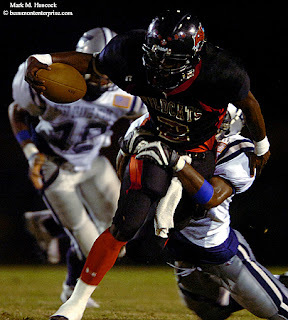 24, right) tries to run from the grip of Kirbyville's Stefan Jackson (No. 22, left) during a high school football game. Kirbyville's Pierce Rhodes (No. 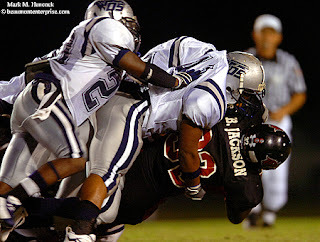 2, top) gets caught by West Orange-Stark's Sam Dixon (No. 35, bottom) during a high school football game in Kirbyville. For several reasons, many thought Kirbyville would finally beat the dominant West Orange-Stark team. WO-S stopped the speculation with a 31-7 win. The Mustangs remain undefeated in district. 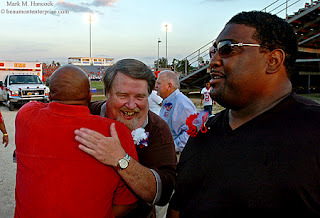 Willie Fowler (left) greets former coach Richard Tyner (center) as former NFL football player Jerry Ball (right) looks for 1982 teammates before the West Brook High School homecoming football game at the school in Beaumont on Friday, Sept. 28, 2007. The game marked the 25th anniversary of the school as well as a reunion of the 1982 state champion Bruins. 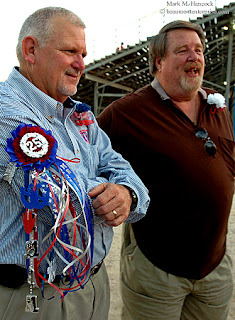 Former West Brook High School coaches Webb Broughton (left) and Richard Tyner (right) meet with other members of the 1982 team before the homecoming football game at the school in Beaumont. 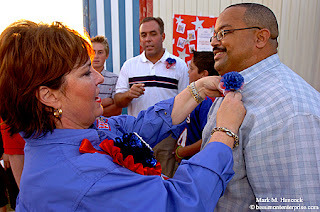 West Brook High School assistant principal Nancy Flores (left) pins a boutonniere on Erick Gauthia (right) before a homecoming football game at the school. 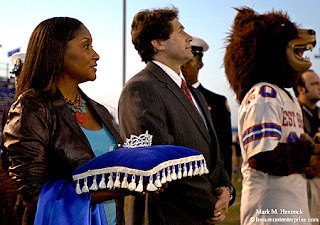 West Brook High School principal Bill Daniels (center) and 1982 homecoming queen Kim Lee (left) await the announcement of this year's homecoming queen before a football game at the school. 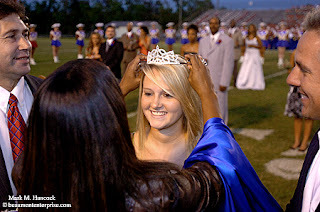 Sarah Beach (center) is crowned as the West Brook High School homecoming queen by 1982 queen Kim Lee as principal Bill Daniels (left) and her father Chris Beach (right) watch at the school. 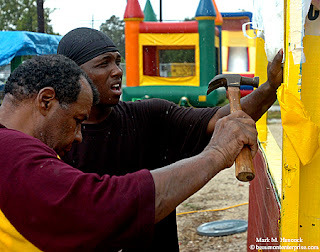 Dave Alexander with Event Toyz of Detroit cleans the cover for his booth before the South Texas State Fair at Ford Park in Beaumont on Wednesday, Oct. 10, 2007. 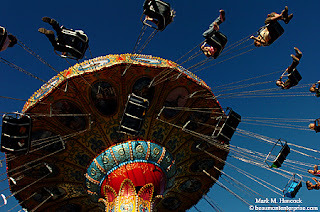 The fair opens on Thursday and continues daily through Oct. 21. Nicholas Martin with Reed Exposition Midway of Baytown prepares the Carousel Swing for the South Texas State Fair at Ford Park. Kenneth "K.C." 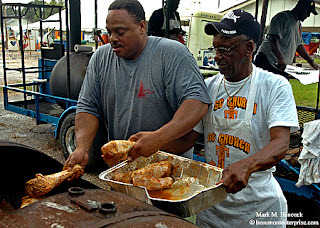 Clark (left) and Terrance Mercier load turkey legs into a smoker during the Blessed Sacrament Church's Octoberfest Bazaar at the church in Beaumont on Saturday, October 6, 2007. Saturday events continued through the rain. Enrite Landry (left) and Brandon Bardney (center) brave the rain to secure tarps onto booths during the Blessed Sacrament Church's Octoberfest Bazaar at the church in Beaumont. 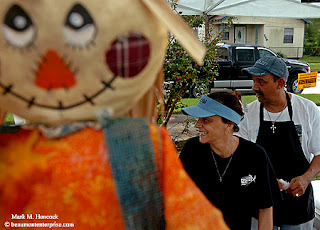 Vicki Sonnier (left) and her brother Tim Sonnier (right) take a break during the Blessed Sacrament Church's Octoberfest gumbo cook off at the church. Saturday events continued through the rain and featured food and entertainment. There are several different categories. Applicants can ask for as much as they need to complete the project. Community-minded digital innovators worldwide -- journalists, software designers, bloggers, and students of any age -- have been competing in the News Challenge for up to $5 million dollars in grants. The coolest part? The winner holds the intellectual property rights -- subject to Knight Foundationʼs requirement that the intellectual property be shared with the world. It's all a part of the Knight Foundation's open-source, open-standard philosophy. 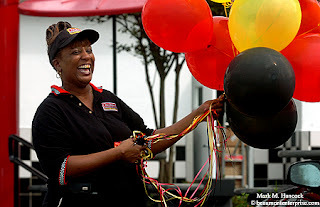 Checkers restaurant general manager Rhoda Boyd celebrates winning a new car at the restaurant in Beaumont on Friday, October 5, 2007. Boyd won a new Dodge Caliber in the Strive 2 Drive sales incentive contest for having the highest year-to-year sales increase in the U.S. during a contest period. Atascocita's Brandon Stewart (No. 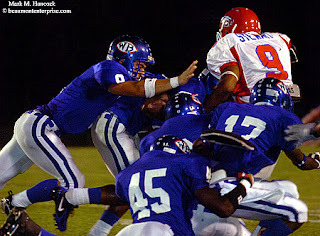 9, right) gets mauled by a sleuth of Bruins players during West Brook's homecoming football game at the school in Beaumont on Friday, Sept. 28, 2007. The game marked the 25th anniversary of the school as well as a reunion of the 1982 state champion Bruins. Hurricane Humberto made landfall in Texas between High Island and Sabine Pass on Thursday, Sept. 13, 2007. For the first time in recorded history, a storm went from a tropical depression to a strong Category 1 hurricane in less than 18 hours. The hurricane surprised many Southeast Texas residents. 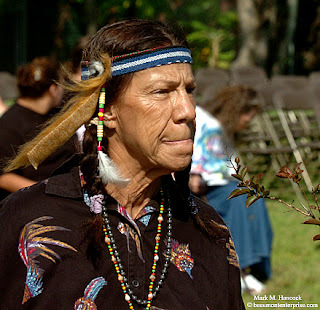 Janice Shuff of the Atackata Tribe prepares before the Honoring Our Heros program and continuation of Vidor's Centennial celebration at the First Pentecostal Church in Vidor on Saturday, Sept. 8, 2007. Sam Maida, Jr. and his son Wes Maida watch as Wes' son Braden, 1, plays at Sam's home in Vidor on Friday, Sept. 28, 2007. Wes Maida recently returned from serving in the Marines in Afghanistan. 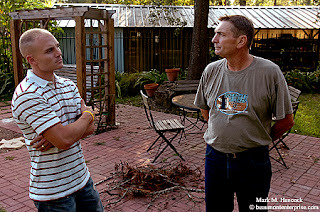 Wes Maida (left) and his father Sam Maida, Jr. discuss Sam's recent diagnosis of kidney cancer at Sam's home in Vidor. Sam is a locally well-known umpire and referee of sporting events from youth leagues to high school. 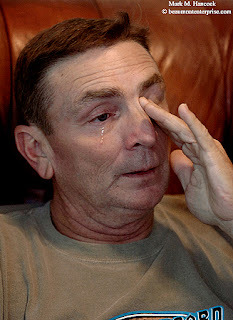 Sam Maida, Jr. sheds a tear while talking about the support he's gotten from the community after his recent diagnosis of kidney cancer at his home in Vidor. 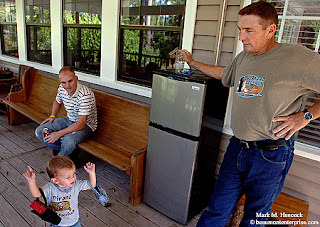 Sam Maida, Jr. (left) discusses his recent diagnosis of kidney cancer as his son Wes Maida (right) listens and considers at Sam's home in Vidor. Please read, "Marine at father's side..." by Mike D. Smith.